A Coming Russia-U.S. Conflict Over Egypt? (Cedricmuhammad.com) Earlier this year I raised some eyebrows and impressed a few Africa PreBrief (http://africaprebrief.com/) clients (which is always nice) by successfully predicting that it would be Russia's telecommunications giant VimpelCom Ltd. [Symbol:ADS (VIP) Website: http://www.vimpelcom.com/index.wbp] that would be the eventual winner in pursuit of Egypt's telecommunications crown jewel, Orascom Telecom - the country's largest mobile phone network. I shook my head and said ‘no' each time a new suitor - ranging from South Africa's MTN Group to France Telecom - was reported as the probable merger candidate. I repeatedly stated it would be a non-African company and then outright stated it would be the Russian firm. Yes, you can only imagine how much I enjoyed my cranberry juice-ginger ale on the rocks combination on October 4th when the intention to marry and potentially create the world's 5th largest mobile phone company was announced (http://www.vimpelcom.com/news/press.wbp?y=2010&id=2192c5a3-7e9d-47ad-ba0b-2f5aae2354bd). The deal is not done (and even the Orascom Telecom website has been down due to the crisis), but all we needed at APB to serve our clients was being correct about the intention to announce. While I factor in many variables before making a ‘call' like this - everything from regulatory, monetary, fiscal, and trade policy; as well as geopolitical factors and business models; I am not an ideologue wedded to a rigid model when it comes to advising folks with money on the line. The smallest variable may matter and the most protruding fact (anecdotal or empirical) often carries more weight than a slew of econometric formulas or ‘models.' I increasingly shy away from forcing emerging and developing markets to conform to the lens of Western economic worldviews which are very policy-heavy (fiscal, trade, and monetary) and seem to delight in ignoring the difference between African societies (and the maze of ‘informal' institutions, customs, traditions) and how change occurs in them, as opposed to the West. 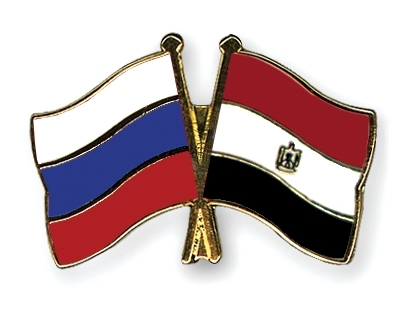 The protruding fact that stood out in my analysis of the Egyptian economy, which influenced my VimpelCom call, was the 'surprising' extent to which Egyptian sectors are connected to Russia. In a dependent or symbiotic relationship, largely out of the view of Western media - even financial - are such details as the dependence of Egypt's tourism sector on Russia. On this over a year ago I wrote privately, “That's correct although the largest international market for scheduled traffic to Egypt is from Saudi Arabia - the main source of tourist travel to Egypt is Russia, and volume is only increasing - up 12% - last year - in the depths of a recession that has been particularly brutal in the former ‘Evil Empire.' While Russia was sending this large mass to Egypt at the height of, and in the aftermath of the financial crisis, it's own GDP declined by nearly 8% percent. Yet, despite this, in 2008 Egypt's key sector experienced its greatest growth rate of 15% - with nearly 13 million tourists. One can only imagine the boon Egypt might receive, with Russia enjoying growth for two consecutive quarters now. 14 to 15 million visitors is not unthinkable“. Today we are reading the dramatic news of how Russia's largest travel agencies have stopped sending tourists to Egypt and that independent oil company LUKoil and private natural gas producer Novatek pulled workers out of the country. With Cairo and Alexandria burning, and President Mubarak likely to fall any minute, hour, or day now, the variables in play are almost limitless, with previously unthinkable ‘worst-case' scenarios now possible. In advising on Egypt I'm suggesting that the weight on the Egyptian and Northern African market is not only policy-oriented, in terms of who replaces Mubarak (as long as Mohammed El Baradei continues to serve as a credible ‘bridge' to transition out of the current crisis into September elections) it is geopolitical risk on two fronts - the Israeli-Palestinian conflict (which further has the potential to unite Arab Street/N. African masses across conservative, radical, traditional, progressive ideological lines) and the real possibility that Russia may interpret U.S. maneuvering over succession and the ‘Middle East' conflict as a threat to its deep economic ties with Egypt and as trespassing on its sphere of influence. Russia has a lot at $take and a lot to lo$e. The Suez Canal, therefore increasingly becomes important, and our institutional memory informs us of how access to and through it resulted in war decades ago. I don't think the days of fighting over strategic waterways are behind us - whether the Suez Canal or the Bosphorus Straits of Turkey (as I have discussed in previous blogs). I'll save the rest for my Africa PreBrief clients and subscribers but the idea that only the United States has something to lose in Egypt is not only incorrect but downright dangerous. When thinking about Egypt, think Russia. As previously stated, the best insight into the African, Arab and Muslim world will be coming from sources and authorities that Western (and financial media) will not consult. 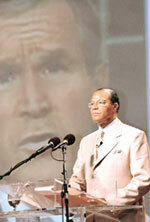 In that vein, look at how prescient aspects of the two letters Minister Louis Farrakhan wrote President George W. Bush earlier last decade appear now. You will note Minister Farrakhan's passing reference to Russia, and China - both of whom I expect to be drawn into either heightened competition or outright conflict with America over Egypt's fluid shifts. The Iraq war, U.S. foreign policy and the divide between President Mubarak and his people over it (as well as the Egyptian governments leanings on the Israeli-Palestinian Peace Process) are a factor in his fall. Minister Farrakhan brilliantly framed the dilemma as a choice that U.S. foreign policy in Afghanistan, Iraq, and the Middle East conflict forces ‘moderate' and Muslim leaders to make. To gain American favor and largesse while losing the support of Arab, Muslim, and North African youth and your electorate - that is the question.